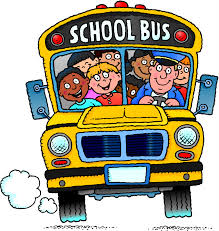 Students will all begin riding the school bus on Wednesday, September 5th. your bus a RF4C student driver will contact you with bus times. If you don’t hear from us, please call. the Special Needs buses you will receive a call from the assigned route driver. Please look closely at your route. of the possible variables that may occur. We ask for your patience and cooperation. (715)425-1808. The times that are published are SUBJECT to change. 3:06 PM 1450 S Wasson Ln - Cudds Ct.
4:08 PM 8288 830TH ST.
7:52 AM Corner of Old Cemetery and Steeple Dr.
4:15 PM Oak Ridge Dr & River Side Dr.